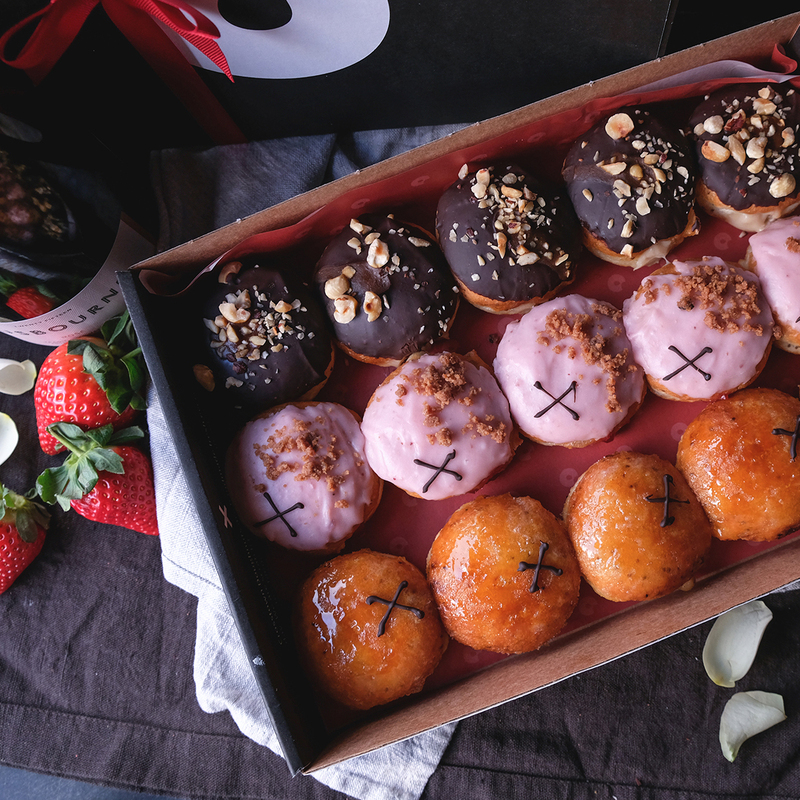 Doughnuts are always better than roses and our bakery team has been hard at work to create six limited-edition flavours, including vegan Valentine’s Day dough bites for the first time ever! 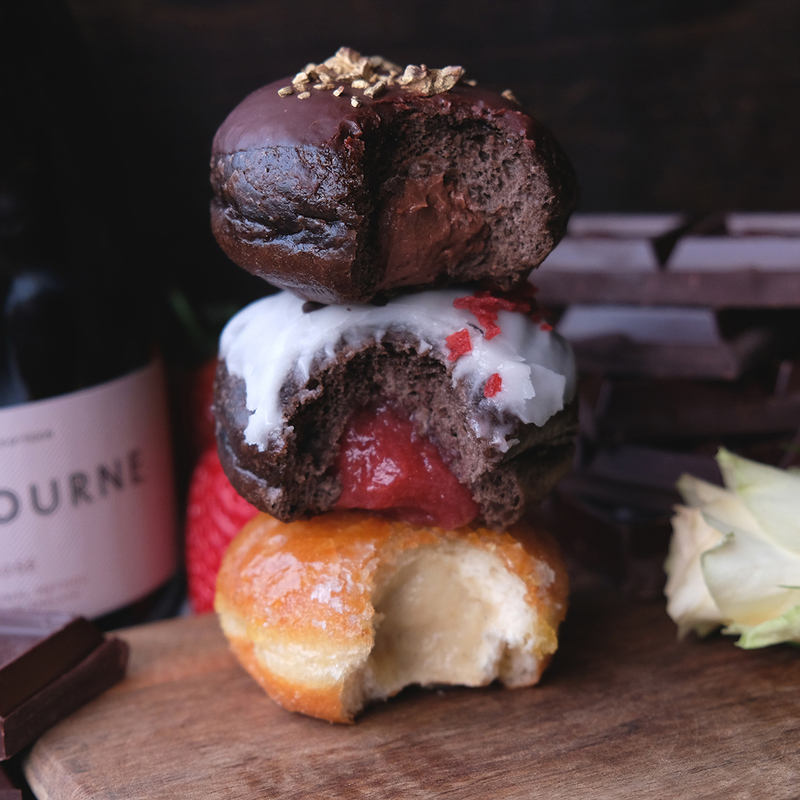 We’ve teamed up with award-winning English sparkling wine producer, Gusbourne, and Californian chocolatiers, Guittard, to introduce six epic new flavours using ingredients that represent the same quality and craftsmanship that we bake into our doughnuts every day. Our Gusbourne collaboration uses their 2015 sparkling rosé, which is grown, bottled and aged in the countryside of Kent. The vintage rosé is typical of the ‘Garden of England’, with soft summer berries and floral notes on the nose. 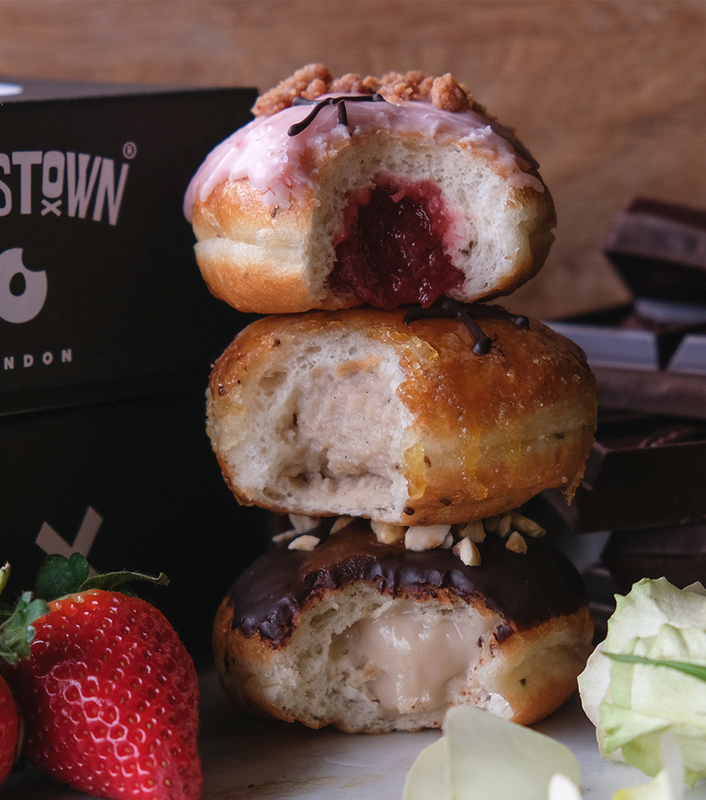 It works perfectly in our homemade compote and glaze used in our limited edition Strawberry & Sparkling Rosé flavour, available with either chocolate or vegan sourdough. Find out more about Gusbourne’s vintage sparkling rosé here. No Valentine’s Day gift would be complete without chocolate, so we’ve shipped in Guittard’s 150-year anniversary Eureka Works chocolate all the way from San Francisco! The limited-edition 62% multi-bean blend features a mild-fresh fruity acidity with notes of pineapple, dark cherry, slightly under-ripe banana and hints of citrus. We’ve used this exciting new ingredient in our Chocolate Ganache dough bite, which is part of our original Valentine’s Day gift box. For every Eureka Works bar sold, Guittard are donating a portion of the proceeds to the Heirloom Cacao Preservation Fund. Find out more about the Eureka Works chocolate here. To spread the love, we’re giving six lucky customers a complimentary bottle of Gusbourne vintage sparkling rosé to share with their loved ones on the 14th February. 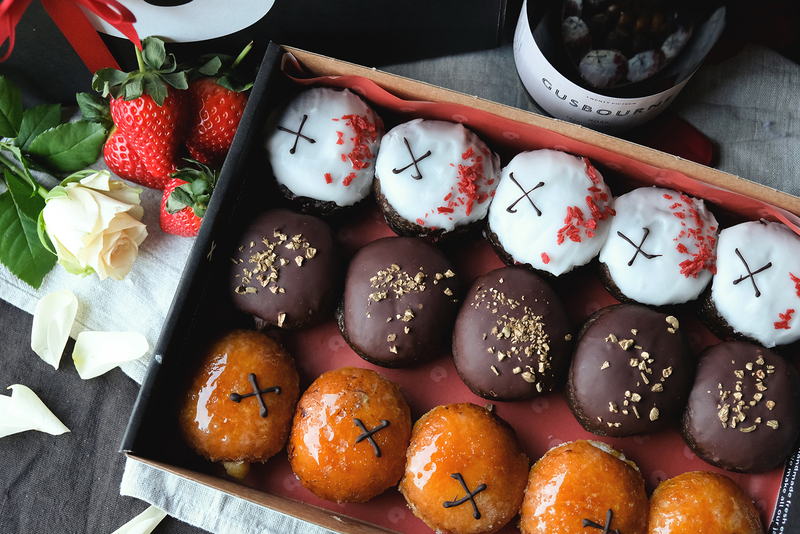 All you have to do is pre-order a Valentine’s Day gift box and we’ll pick six people at random to receive a bottle with their order. 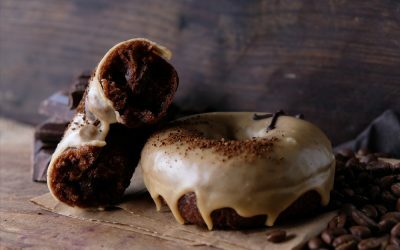 Working with Guittard, we’re using their Bittersweet 67% chocolate for an all-new vegan flavour, the Banana Cream & Miso Caramel. 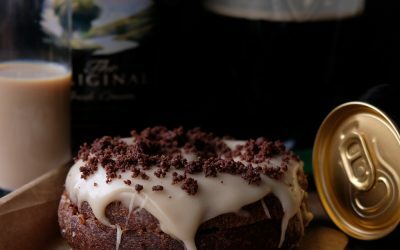 Featuring a homemade banana cream filling and topped with dark chocolate ganache and crushed hazelnut pieces, this one’s not to be missed! Alongside the collaborations, we’re bringing back our famous Crème Brûlée, this time in dough bite form, available with either original or vegan sourdough. 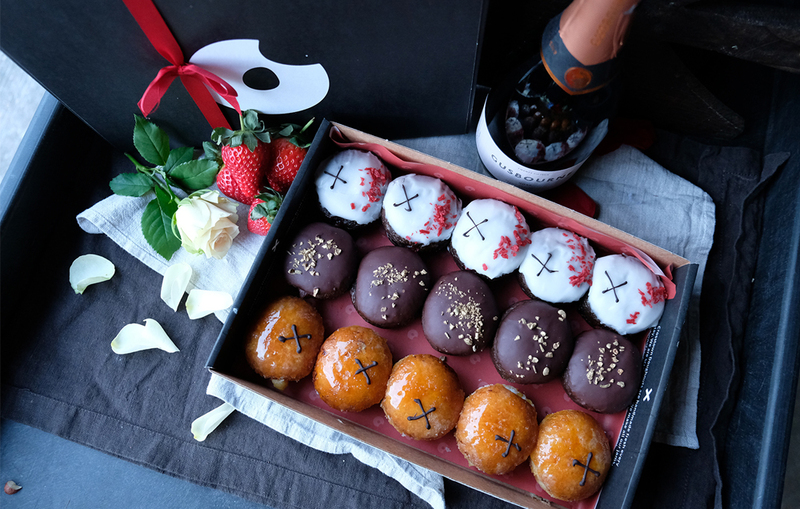 The new flavours will be in-store and on-demand on 14th February only, but with limited stock, pre-orders are advised!